There is something about ultra endurance racing. What that something actually is, is very different for everyone involved. For me, it is the continuos reminder of what can be accomplished with a positive attitude. That just because something doesn't go according to plan doesn't make it wrong. Maybe it's a sign. A gentle reminder not to forget something from someone up above. This past weekend, Jenn and I spent an awesome evening at the Harlow drive in movie theatre with Gabe, Quinoa, L to the B Soon to be K, Thin Mint, My Fairy God Mother, Stephanie and Michael. Because Thin Mint and I were going to be coming straight from work Jenn and L2TBS2BK picked up Thai for us. I made the decision to try something new and ordered the red curry with duck. It tasted great. After the movie, we called it a night and headed home for bed. After all, I did have a ride planned for the morning. Shortly after laying down in bed my stomach decided it no longer liked red curry with duck. I would spend the next 3.5 hours sick, running back and forth to the bathroom with the greatest of stomach cramps. A level of discomfort I've never experienced. I was eventually able to close my eyes and get close to an hour of sleep before the alarm went off. It was time to get ready for my last multi hour ride before packing everything up and heading back to Texas for this weekend's RAAM Challenge 400. I put my bike on the trainer, got dressed and started pedaling. The ride didn't go so great as I felt extremely dehydrated and started to cramp. On top of that, things felt a bit raw. Some people might get discouraged if they got sick and were unable to do get the last workout before traveling in. I'd be lying if I said I wasn't included in the "some". That was until as I was gathering my work clothes from my bag, I reached into the side pocket only to realize I was out of something. Something very important. Something that would ensure post ride comfort should comfort be compromised in Texas. The red curry with duck was more than a new tasty way to dehydrate myself. It was a post-it note. 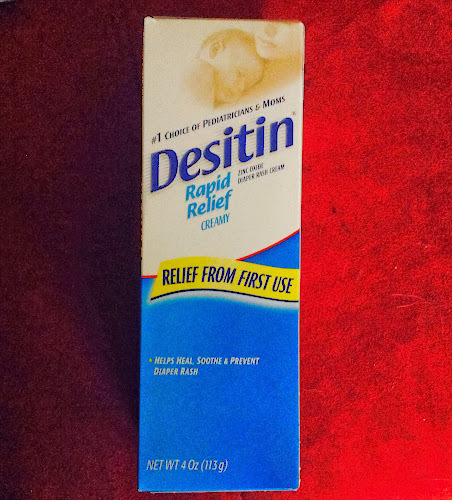 A gentle reminder to purchase more Desitin before leaving for Texas. A reminder to not allow my mind to slip away. A reminder to keep it posi.